Each of the following is a link. When you click on the link, a MS Word document should be downloaded to your computer. The Weebly website has scanned each document for viruses. Were you to have any problems, go back to the WELCOME page. There you can find my email address. Identifying the Elements AND the Answers!!! Lab: Bond Types & Organic Molecular Comps vs. Inorganic Ionic Comps. Informational Writing Checklist This is a checklist of goals and evidences, which is verified as being inline with Common Core standards. As you compose/respond/design written work, you should use this checklist. The checklist identifies a number of types of evidence that you can use to demonstrate your mastery of necessary skills. So, GO LARGE and use it. 6 May: Page 66 the matching column work should be completed. Please note that there are two corrections to be made to the 3rd set of matching. Term 3 should be neurotransmitter and Term 4 should be NORadrenaline. Sorry for the mess up. I did a similar typo on page 65 and I will try to correct that in class. 25 April: Quiz: Vocabulary of Compounds and The Basics of Nerve Transmission. 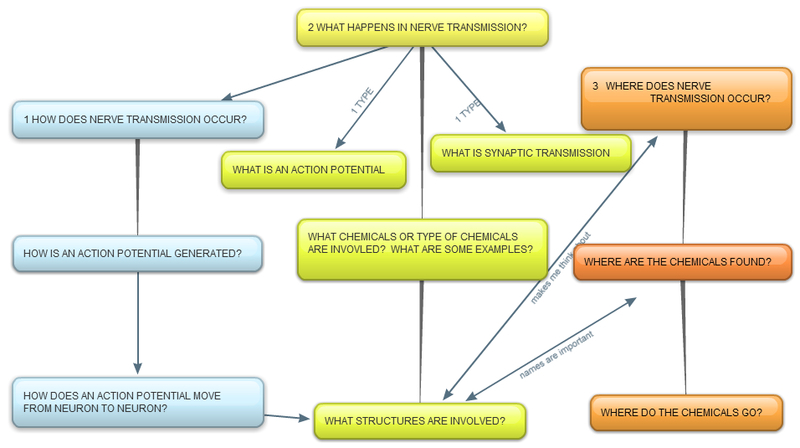 Students can use a concept map (not "notes" ... but a constructed concept map) with the quiz. 4 April (Friday): The lab write up for Bond Types & Organic Molecular Comps vs. Inorganic Ionic Comps. is due. It should be word-processed. 12 March: Quiz! The Ever Popular; Atoms, Ions, Electrolytes, Molecules Of The Human Nervous System! Due: The completed What D'Ya Understand? Carbon Monoxide It is graded ... and be sure to use the informational writing checklist for question #5!!! Brass Alloy Write-Up is due. Don't forget that you have a signed contract & don't forget to use the Informational Writing Checklist. If you have questions about the lab write-up, see Mr. D or Ms. M ... or drop Mr D an email.